OBAMA has no real identity. He is half-white, which he rejects. The rest of him is mostly Arab, which he hides but is disclosed by his non-African Arabic surname and his Arabic first and middle names as a way to triply proclaim his Arabic parentage to people in Kenya . Only a small part of him is African Black from his Luo grandmother, which he pretends he is exclusively. descendant of enslaved Africans brought to America chained in slave ships. for centuries until the British ended it. descendant of slave owners. Thus he makes the perfect Liberal Messiah. the evil of being human to the evil of being white. worship him: Credo quia absurdum, I believe it because it is absurd. are in no desperate need of a phony savior. > PASS THIS ON TO EVERY THINKING AMERICAN YOU KNOW !! 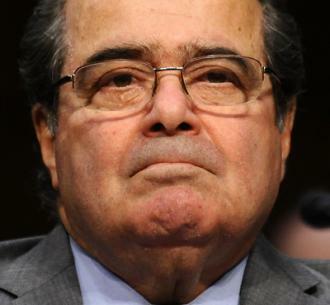 My comment to the justice: Dear Justice Scalia: If you don’t know enough about the history and intent of the “natural born Citizen” legal term of art in our Constitution, click HERE for a refresher course! Or were you just feigning ignorance when put on the spot by answering Larry Klayman’s question with a question? Or if you wish, Attorney Apuzzo and I can come visit you and brief you in private. But really, somehow I think you already know but are afraid to face the question with what you know the true answer is do to your fear of Obama and media criticism. A VIDEO chronicling the saga of Walter Francis Fitzpatrick, III as he has exposed judicial corruption in eastern Tennessee first posted at GiveUsLiberty1776.com has now appeared on YouTube and other websites, including Fitzpatrick‘s. (Aug. 30, 2012) — A VIDEO chronicling the saga of Walter Francis Fitzpatrick, III as he has exposed judicial corruption in eastern Tennessee first posted at GiveUsLiberty1776.com has now appeared on YouTube and other websites, including Fitzpatrick‘s. Three more videos are expected to complete the four-part series detailing the corruption which Fitzpatrick and a Georgia man, Darren Wesley Huff, attempted to expose after exercising their First Amendment right to petition the government for redress of grievances. Public officials refused to act, culminating in a citizen’s arrest on April 1, 2010 of the de facto grand jury foreman, Gary Pettway, who had served in the position for 27 years. Fitzpatrick has been incarcerated on five occasions in the Monroe County jail in a retaliatory fashion seen elsewhere in Tennessee. On November 17, 2011, Capt. Pat Wilson of the Monroe County Sheriff’s Department, another corrupt organization, offered Fitzpatrick a “deal” if he would agree to stop speaking with The Post & Email and other media about the corruption within Wilson’s own department, the judiciary, local law enforcement and state-level officials. “Nobody cares about this,” Wilson had told Fitzpatrick at the time. Federal agents used the citizen’s arrest to invent a case against Huff, who is currently serving a four-year prison sentence at a federal facility in Texarkana, TX. The mainstream media have presented biased and defamatory reports about both Fitzpatrick and Huff since their arrests. In a search today, some propaganda against Fitzpatrick appears to have been removed or archived, although operatives working to destroy his credibility and that of many others continue to do so under a shroud of cowardly anonymity. In September 2010, TIME Magazine portrayed Huff and Fitzpatrick as “twisted patriots” without ever having contacted them to obtain their side of the story in regard to the citizen’s arrest. Fitzpatrick believes that the federal government provided the propaganda for Barton Gellman’s lengthy piece on “militia extremists” and that it ultimately can be traced to the White House. Both Huff and Fitzpatrick are veterans of the U.S. Navy with honorable discharges and have expressed fealty to their oaths taken to uphold the U.S. Constitution. Judges in Tennessee have treated the foreman as both an employee of the court and a “juror,” depending on the circumstances and regardless of the state law which mandates that no juror can serve consecutive terms. While some longstanding grand jury foremen have been dismissed since Fitzpatrick began exposing the problem in 2009, many who have served for decades remain in their posts. Any “juror” who serves consecutively cannot reasonably considered to be unbiased and becomes a patronage employee of the judge. Court reporters have also become the judges’ lackeys in some cases, issuing transcripts missing derogatory and incriminatory statements made by the judge during court proceedings. The Board of Professional Responsibility, the disciplinary arm of the Tennessee Supreme Court, rarely sanctions judges for misconduct, including threatening a defendant and showing signs of inebriation on the bench. One Tennessee woman told The Post & Email that a judge had “ruined her life” over a six-year period. Tennessee Supreme Court Chief Justice Cornelia Clark has opined that “court rules” and “decisional law” are equal to statutes passed by the General Assembly, which is not what is set forth in the state or U.S. Constitutions. Grand juries were established by the Fifth Amendment to serve the purpose of evaluating evidence of a crime against an individual before he or she could be charged. Some states have done away with grand juries altogether, while others, such as Tennessee, use them as a tool against the very people they are supposed to be protecting. Fitzpatrick continues to be prosecuted by the Monroe County “criminal court,” despite 1984 laws which directed criminal courts to reorganize into districts. Atty. Van Irion, founder of the Liberty Legal Foundation, is defending Fitzpatrick against a charge of “tampering with government records.” A legal defense fund has been established to assist. In a “Motion to Reconsider Motion to Dismiss,” Irion cites that the foreman had served on “successive grand juries” in violation of TCA 22-2-314. Compromised grand juries inhibit their ability to objectively evaluate whether or not enough evidence exists to issue an indictment. Recent mainstream media reports have stated that an investigation has begun into malfeasance in the Tenth Judicial District, including undue influence on the part of prosecutors to the grand jury. Since 2009, Fitzpatrick has been reporting the same corruption to state and federal officials as well as media companies, who refused to respond. Last August, Huff and Fitzpatrick were depicted in a federally-funded training program as “sovereign citizens,” considered to be one of the top five “domestic terrorism” threats in the nation by the FBI. It is The Post & Email’s understanding that The Rutherford Institute has been contacted about the cases of Huff and Fitzpatrick in the wake of the widely-publicized case of a former Marine who was arrested and incarcerated in a psychiatric facility against his will and without probable cause earlier this month. © 2012, The Post & Email. All rights reserved. NO ONE...ABSOLUTELY NO ONE SHOULD BE STUPID AND IGNORANT ENOUGH TO VOTE FOR THIS ANTI-AMERICAN FRAUD!...NO ONE! Unfortunately,there are women who can overlook any amount of ridicule because they are convinced by Liberal Progressive operatives that they want to elect a Democratic President. They tell women that they are victims and convince them that they should be more interested in getting birth control paid by the government than in being able to raise their children as they see fit,hold down a job,or start a business because of the same government bureaucracy. Ever since Teddy Kennedy abandoned Mary Jo Kopechne at Chappaquiddick,the Democratic party has been lying to women,and women have been eating it up. Look at the Democratic Presidents throughout history,and tell me how they felt about women. Lets start with FDR. According to his own story, Baby Obama came into the world with dual American-British citizenship. At the same time, however, there is, to date, zero verifiable evidence to be found of his Hawaiian birth; meanwhile there is circumstantial evidence of alternative nativities. Why has the President spent millions to suppress his ID and who is he really? WASHINGTON, DC. 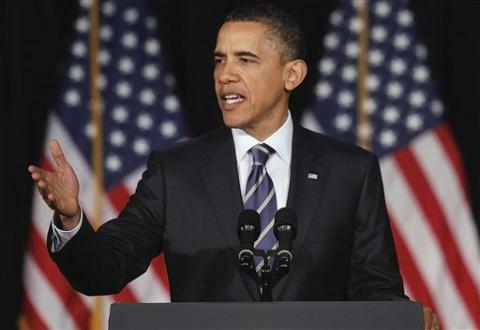 (Dispatch International) As President Barack Obama completes four years in office and runs for re-election in November, a majority of Americans – 55% – believe he was born in the United States. However, 20% of Americans do not believe Obama was born in the US, while another 25% aren’t sure where he was born. Never before have so many Americans doubted the fundamental basis of their president’s identity. Why is this so? On one level, the answer is easy given the absence of verifiable bona fides attesting to Obama’s life story, from every college record to every travel document, from every medical record to every legal writing to every law practice billing record to every record of his tenure as an Illinois state senator – and more. But the story has had to penetrate the American psyche in spite of a deep freeze on the topic in conventional channels. The Obama identity story, burning at the grass-roots-level for more than four years now, is consistently snuffed out and ignored by American journalists and the political class, from elected leaders to party officials. This silence is strictly non-partisan, and spans the political spectrum. 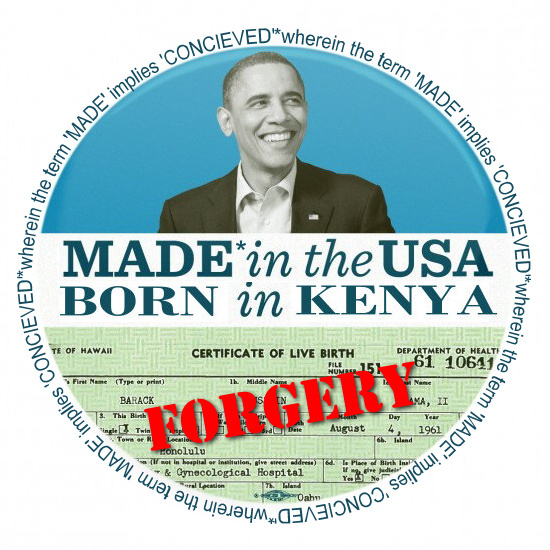 An investigation, undertaken by a so-called cold case posse working for Sheriff Joe Arpaio in Maricopa County, Arizona, has now concluded that not one but two Obama basic identity documents are, without a doubt, forgeries: 1) the computer file (pdf) of the 1961 birth certificate that appears on the White House website; and 2) the president’s 1980 military draft registration card released by the U.S. Selective Service Administration shortly before the 2008 election. These investigators maintain they can prove this in court. The story of how they might do so is verboten, too. But somehow the saga doesn’t end up in George Orwell’s “memory hole”. This is due mainly to the irrepressible nature of the Internet. It is here, for example, and not in the mainstream media, where, following the White House online release of Obama’s 1961 ”long-form” birth certificate on April 27, 2011, a small army of private individuals with varying degrees of technology expertise downloaded the document file and delved into the unexpectedly “unflattened” graphic composition “layers”. They submitted a series of computer forensics analyses to this online public square, arguing that the White House pdf had been fraudulently manipulated. Since that time, similar evidence has been methodically amassed and repeatedly tested under the auspices of Sheriff Arpaio’s cold case team. Sheriff Arpaio formed this cold case posse after 250 local citizens asked him to determine whether Obama was eligible to appear on the Arizona presidential ballot in 2012. At this point, the posse would like to turn over all of its evidence to Congress for a formal investigation. Like a hand grenade that could go off at any moment, however, such an investigation has no takers. And so the fuse burns on not one, but two potential constitutional crises. One involves the biggest unsolved mystery in American history: If Arpaio’s findings are correct, who did it? The other potential crisis, while linked to the first, is much more transparent. The U.S. Constitution lays out three criteria for president and vice president. Article II, Section 1, requires that the president be at least 35 years of age, have lived 14 years in the United States, and be a “natural-born” citizen. “Natural born” citizens are distinct from citizens who are native-born (born in the country) or naturalized. While native-born or naturalized citizen may hold any other office, only “natural born” citizens are eligible for the presidency, the idea being that America’s founders wanted to ensure that the chief executive had allegiance only to the American republic. The Constitution doesn’t define “natural born”, but according to common law at the time and, later, the 1875 U.S. Supreme Court case “Minor v. Happersett”, a “natural born” citizen is understood to be someone born in the U.S. to citizen parents (plural). “Minor” spelled out this definition and is thus the signal case. It is remarkable that in mid-2008, as Barack Obama was clinching the presidential nomination, references to the “Minor” case inexplicably disappeared from 25 related U.S. Supreme Court decisions archived at Justia.com, a leading legal search engine popular with journalists and legal bloggers. Coincidence? When attorney and blogger Leo Donofrio, whose Obama eligibility challenge went all the way to the U.S. Supreme Court in December 2008 (dismissed), discovered this apparent tampering in 2011, Justia called it a “programming error”. The blogosphere called it “Justiagate”. The media, of course, said nothing at all. According to his own story, Baby Obama came into the world with dual American-British citizenship. At the same time, however, there is, to date, zero verifiable evidence to be found of his Hawaiian birth; meanwhile there is circumstantial evidence of alternative nativities. 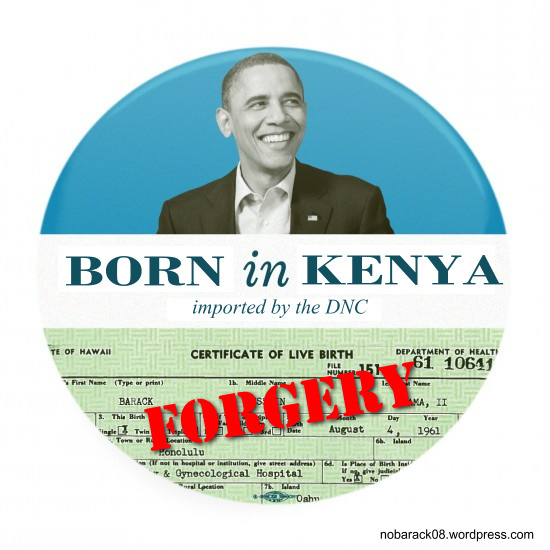 For example, the personal biography Obama’s former literary agent used to promote Obama described him as “born in Kenya”. This biography, written in 1991, remained on the agency website until April 2007 – two months after then-Senator Obama announced his presidential run. Other oddities include a missing week of immigration cards tracking American arrivals into Hawaii from abroad that should be in the national archives. Obama’s birthday in August 1961 falls in this missing week. In light of unexplained facts such as these, in light of the Obama documents that remain sealed, it’s really not so hard to see where a foreign nativity story comes from – or at least why a number of Americans are confused. Many have heard about the two 1961 newspapers that published announcements of Obama’s birth. Posse investigators discovered that foreign-born children were similarly announced as Hawaiian births in these same papers, while they also found a set of adopted twins who were several years old before their “birth” announcements appeared. 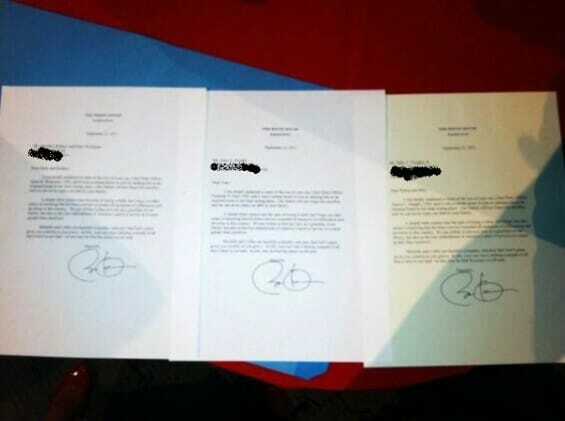 Further complicating Obama’s citizenship story is an undisputed school record from Jakarta which identifies young Obama as a citizen of Indonesia. With all of this in mind, it’s hard to stamp Obama “natural-born”. Still, no challenger to date has managed to convince an American court of this. Of course, almost every single case has been dismissed before trial. Also worth noting is that almost every single case sought the same thing: the release of the Obama birth “long-form” birth certificate. This is the very document the White House website put on display in April 2011. Obama spent an estimated one to three million dollars to fight previous attempts to compel him to release this same document. What happened to make the president change his mind? The White House transcript breaks off with the word: “(laughter)”. Who will get the last laugh? Barack Obama? Sheriff Arpaio? The politicians who keep their heads down, or the citizens who take their Constitution seriously? 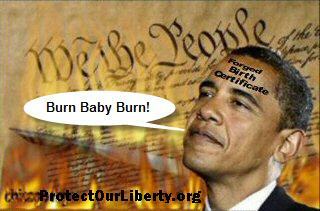 Whoever laughs last, it seems safe to say that the Obama birth certificate is a very funny document. Karen Vaughn reached out to the parents of the other SEALs killed in that crash. Their letters were all the same. Form letters – signed by an electric pen. 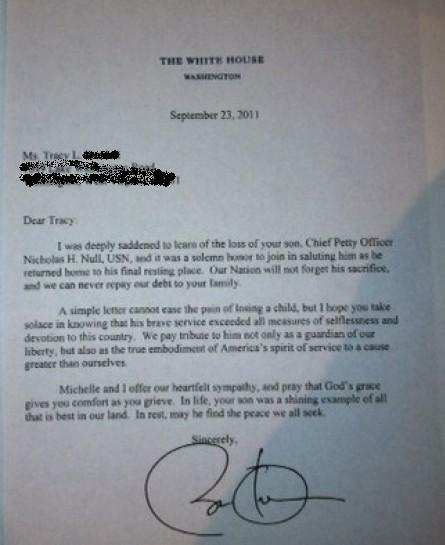 Here’s a closer look at the letter sent to the parents of Chief Petty Officer Nicholas H. Null. It’s the same form letter. Barack Obama’s step-grandmother in Kenya, Sarah Oyango Obama, has a 2005 poster calendar on the wall of her home that proclaims “The Kenyan Wonder-Boy in the U.S.: Senator Barrack Obama,” according to a British documentary film. August 29, 2012 TPATH - During the long and contentious Republican Primary season of 2012, as the Donald continued to insert himself in many aspects of it, there had been concern that Mr. Trump had something other than getting Obama out of office on his agenda. Every ounce of that speculation has been put to rest and convincingly so. Donald Trump, while being equal parts celebrity, businessman and politician has proven that he is all Patriot. Mr. Trump has been the only high profile politician who who has had both the courage and common sense to speak out and speak up about the overwhelming problems that surround Obama, his past and his personal documents. It was in fact, in the view of many, Donald's questions about Obama's birth place, that most likely created the need for Obama's minions to produce that birth certificate that has now been proven by Sheriff Arpio as well as many others, to be a forgery. As everyone knows, the GOP and the whole establishment have blacklisted any talk or speculation on this subject. This includes the most respected conservative talk show hosts and commentators. Could there be change in the air? Could even the venerable Rush Limbaugh be finally getting on board? Could Mitt Romney be testing the waters? While Rush has always maintained that this issue was not only unimportant he felt that it would only serve as a distraction. Different from many talk show hosts however, Rush always treated those that called his show on this with respect. Unlike hosts Beck, Levin and Hannity. Back to Mr. Trump. He has not gotten where he is, he has not attained the success he has, by being told no, and accepting it. 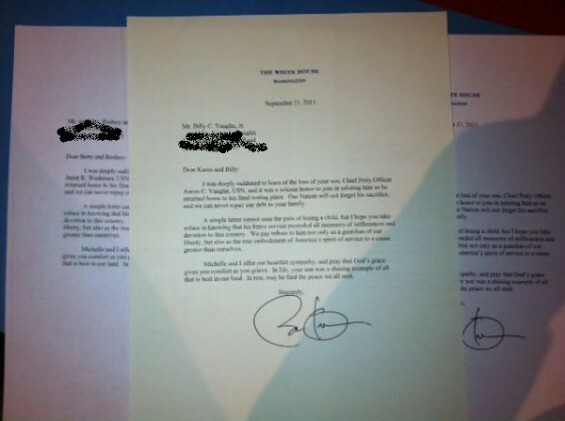 It is clear he knew that Obama was in the process of pulling one of the biggest hoaxes in American political history and when he suggested this be looked into, as others have been, he was maligned and belittled. Those others quickly fell into line and silence. One of the left’s favorite attacks on the Republican Party is that it is the party of old white people, devoid of diversity and probably racist. Throughout this convention, Matthews has accused the Republicans of playing dog-whistle racist politics while on scene in Tampa. It isn’t clear, however, if Matthews will hurl accusations of racism at Davis, Love or Cruz for speeches his network failed to broadcast. “It’s going hot.” Those were the ominous opening and closing words from my source inside the Department of Homeland Security in two separate contacts we had within the last 72 hours. Readers to this website and listeners to my radio program know this source as “Rosebud,” a source with access to high levels within the DHS administration. Readers of this website and listeners to my radio program are familiar with this DHS insider from previous leaks detailing alleged plans by members of the Obama administration to keep him in power beyond the 2012 elections. One could argue that any person of reasonable sensibilities would certainly find this a delusional prospect and tinfoil hat conspiracy nonsense. After all, we have a Constitution, or what’s left of it, that dictates our election process, at least for now. As such, one might logically ask how any sane person can even entertain the prospect of not having normal elections in November. I would feel the same, and did so as well until the last few years. Today, things are much different than they were four years ago, or even last year at this time. Judi McLeod, award-winning founder and editor of Canada Free Press and not one to succumb to delusion or fantasy, points this out and provides a solid foundation for this possibility in her column published on August 27, 2012 titled “Staged crisis leading to suspended elections could happen on our watch.” What a difference four years can make. For the purpose of full disclosure, I must note that what follows is a compilation of the information I obtained from my source from two separate contacts within a 72 hour period. Both contacts have been assembled into a single “conversation” for easier reading. None of the information has been changed or otherwise edited. Not with a ghostly hand,warning a corrupt king that his kingdom was passing away. But written large over thousands of conservative websites,blogs,and YouTube videos. Even in the mainstream media. When Jeremiah Wright’s Marxist,anti-American rants were revealed in 2008,the media quietly shuffled it away as an anomaly in Obama’s past rather the norm that it was. Conservative researchers like Stanley Kurtz showed that Wright’s Marxism and anti-American sentiment ran deep,not just in isolated sermons but permeating every aspect of his life and the lives of his parishioners in the form of Black Liberation Theology. And Barack Obama was steeped in that Marxist,anti-American gibberish. When it became known that Obama had hung out with anti-Israeli,pro-terrorist wonks like Rashid Khaladi and Edward Said,the media quietly shuffled it away,while conservatives screamed from the highest mountaintops that once in office,Obama would embrace Islamic radicals since he had been doing just that for decades. When Obama ascended his throne,not the presidency—as Obama rules by a shadow government in the form of czars and executive orders—all of that writing on the wall came to fruition. While in Cairo,Obama was literally thirty minutes from Israel and wouldn’t deign to meet with Israeli Prime Minister Netanyahu. After four years in office,Obama has failed to visit Israel and throws a temper tantrum anytime Israel does anything without his permission. When Obama threw a temper tantrum because Israel dared to build settlements on their own land and ordered them to stop—in effect calling Israel “occupiers” in land that has been theirs for thousands of years—the media dutifully took the side of the “oppressed” Palestinians. When Obama ludicrously insisted Israel return to the indefensible 1967 borders,both the Israeli and American people balked,and even the mainstream media refused to back Obama’s foolishness. During the Egyptian “Arab Spring”—nothing more than a Muslim Brotherhood-induced mob—Obama quickly threw longtime American and Israeli ally Hosni Mubarak under the bus and just as quickly embraced the “democratically elected” Mohammed Morsi,who now has control over the legislature and military and has shut down all media critical of a totalitarian Islamic state. Like an Islamic Gestapo,Morsi’s operatives have been abusing,attacking,jailing,and even murdering anyone who dares to question the Islamic fascist. If Obama is not stopped,we will have our own Mohammed Morsi sitting in the White House,with his own Gestapo roaming the country. Two weeks ago,a former Marine,Brandon J. Raub,was ambushed by a contingent of police officers,FBI agents,and Secret Service agents for daring to criticize Barack Hussein Obama. He was deemed “mentally unstable” and consigned to thirty days in a VA mental ward. If not for conservative websites,blogs,and YouTube,Brandon Raub would have more than likely been “re-educated” with psychotropic drugs and released a “new” man,gladly towing the Obama party line. Did conservatives win this round against Obama’s police state? It has been reported that in Chesterfield County,Virginia,where Brandon Raub was ambushed,there are at least twenty cases resembling what happened to Raub. It appears Chesterfield is ground zero for the war on veterans,the war on the Tea Party,and the war on conservatives. It appears Chesterfield is a sort of test case,a fascist lab for what could be duplicated across the United States. We the people are the enemy now. We the people must rise up and remove Barack Hussein Obama from the Oval Office;whether through the election in November or impeachment,we care not how it is accomplished. This information needs to become common knowledge for voters prior to the 2012 election. It simply must get around. AB Independent Productions, in collaboration with Veteran investigative journalist Cliff Kincaid of America’s Survival, has released a new video that reveals in detail for the first time, the story of how communist and probable Soviet agent Frank Marshall Davis – arguably the most influential person in Obama’s life – was discovered, and how the national media attempted to cover this story up. “Four years after we broke the story wide open with the release of a 600-page FBI file on Barack Obama's communist mentor, we are still finding major elements of the media with their heads in the sand,” Kincaid said. …spent a good deal of his adult life in Chicago, before decamping to Honolulu in 1948 at the suggestion of his good friend Paul Robeson (Ed: Robeson was staunch Stalinist). Realizing this was a potentially explosive story, Kincaid sought to confirm it through independent sources. Here are the latest Obama Campaign Buttons. Why pay $5, when you can print them out here. Cut out, paste, and be sure to make several for your friends. Watch the promotional video, via the Bureau of Muslim Affairs, which is partnering with the DNC for the event. And while Muslim-Americans undeniably face distinct challenges, those who are well-informed on the dangers of radical Islam are expressing their doubts about the event. Columnist Bret Stephens on why President Obama should release his college transcripts. In the Leftist controlled media stories are shouted if they are helpful to Democrats,whispered if they are bad news for Democrats. This is an absolute axiom. This is why a new poll a new poll commissioned by the American Life League (ALL) is so important. The poll conducted between August 15 and 19 spoke to 900 self-identified Catholic registered voters. There are few English language superlatives that can accurately portray the findings of this survey. “Earth shaking” “Sea Change” “Devastating” read them and take your pick. The story was whispered on a recent NPR segment and here’s why. 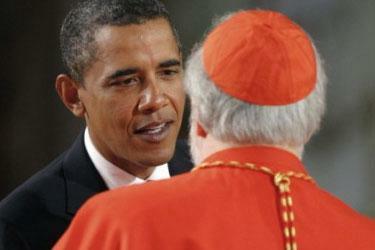 A stunning 27% of Catholics told the interviewers they support Barack Obama. This is a 27 point fall from 2008. Seventy four percent (74%) of Catholic men over 50 refuse to support Obama. Moreover an almost identical 25% of Catholic men under 50 support Obama and 31% of Catholic women under 50 support him. Catholic women over fifty support Obama at just a 23% rate.